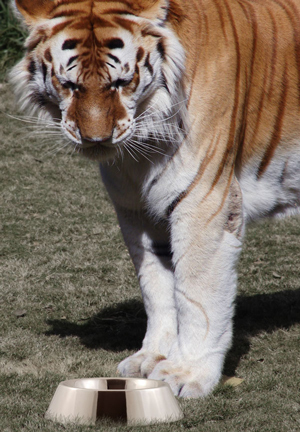 Composition of images by Amanda Greenslade (tiger). Bowl from StockXpert. This week we feature an enquiry about feeding carnivores on the Ark, from LH of Victoria, Australia, to which Andrew Lamb responds, and an accusation of ‘closet scientism’ from a long-standing critic of CMI who apparently loves seeing his name in print on our site, Richard Meiss of Indiana, USA, to which Jonathan Sarfati responds. How did Noah feed the carnivorous animals on the ark? Many carnivores, including lions and tigers, can readily manage on a vegetarian diet, and this may have happened on the Ark. See Teeth and Tucker for several modern cases of ‘herbivorous carnivores’. Dogs are considered carnivores, but dogs in some countries actually survive on a primarily vegetarian diet. During many years of working in Thailand, I observed that most pet dogs were fed on table scraps, which meant cooked rice was their staple food, as this was the staple food of their owners. And in Indonesia many dogs are fed mainly on vegetables—see note 5 here. Consider another carnivore, the snake. There is a widespread misconception that snakes can only eat live food, but there are commercial breeders today whose snakes thrive on dry food pellets. So there is no problem with Noah possibly doing the same for carnivores on the Ark—a mixture of grains and legumes would provide all the nutrition needed, including the building blocks for animal protein. Some ‘carnivores’ actually survive on a primarily vegetarian diet. If it was unavoidably necessary for some of the Ark’s tenants to have meat in their diet, this could have been readily accomplished using salted meat, reconstituted dried meat, or fresh meat from fodder animals carried aboard for this purpose. Tortoises are a good example of a fodder animal. Tortoises can survive up to a year and a half in captivity without water or food. In olden days, the famous Galápagos tortoise nearly went extinct due in part to its popularity as a fodder food. Thousands were taken aboard sailing ships to be kept as a source of fresh meat. 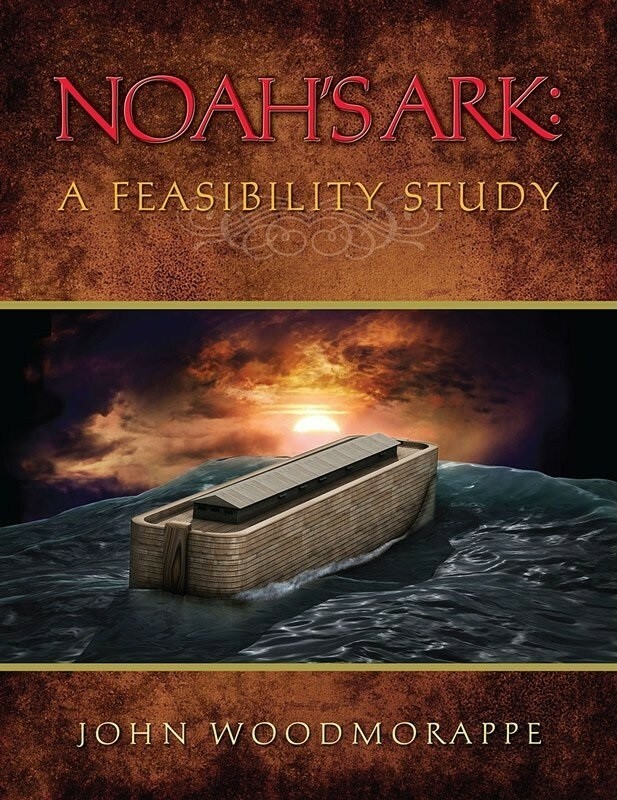 For a thorough study of this whole issue, see chapter 12, ‘Feeding challenges I: Animals that eat fresh or live food’ of Noah’s Ark: A Feasibility Study by John Woodmorappe. He deals exhaustively with the issue of what was eaten during and immediately after the Flood by animals that are now carnivores. In Genesis 6:12 the phrase ‘all flesh’ is used. ‘And God looked upon the earth. And, behold, it was corrupted! For all flesh had corrupted its way upon the earth.’ The Hebrew word translated as ‘all flesh’ generally means both people and animals. If the animal kingdom had been corrupted, carnivory might be an expected result. This phrase ‘all flesh’ occurs 10 times in the account of Noah and the Flood (Genesis chapters 6 to 9). In many of these occurrences it is plain that the phrase means animals and people inclusive. Genesis 6:13 says the world was full of violence through them, where ‘them’ refers to ‘all flesh’ i.e. man and animals. This verse seems to indicate that animals were being violent too. Another clue is in Genesis 6:7 where God expresses regret not only for having made mankind but for having made the beasts too. Perhaps carnivory by animals could have been a reason why God regretted having made them. Another hint of post-Fall, pre-Flood carnivory is in the Curse as recorded in Genesis 3:14–19. In verse 14 it says ‘you [the serpent] are cursed more than all cattle, and more than every animal of the field.’ If the cattle and animals of the field hadn’t been cursed, then it would be incorrect to say the serpent was cursed more than them. The words ‘more than’ indicate that the animals were cursed too. If the animals were cursed, then might not carnivory be one result? Crushed bones have been found in a fossilized dinosaur coprolite (dropping)—see T. rex drops clue. Teeth marks have been found in dinosaur bones, in patterns suggestive of either carnivory or scavenging. A fossilized Tyrannosaurus rex has even been found which has another T. rex’s tooth imbedded in one of its ribs! See ‘Sue’ the T. rex: another ‘missionary lizard’. Such physical evidences strongly suggest that by the time of the Flood many animals had descended into carnivory. We think it quite probable that not only some animals but some people too were eating meat before the Flood. There is the case of Jabal, of the wicked line of Cain, keeping livestock. See the discussion of his case under Did domestication take place pre-Flood or post-Flood? Although God did not give permission to eat meat until after the Flood (Genesis 9:3), the wickedness of man was great (Genesis 6:5) and the world was full of violence (Genesis 6:13); men were apparently breaking the full gamut of God’s commands and prohibitions. There is no reason to think they would have baulked at transgressing God’s stipulation that plants were to be man’s food. Returning again to the carnivores on the Ark, another point to consider is that it was probably far easier in the pre-Flood world for animals to meet their nutritional requirements from plants alone. Due to ongoing genetic deterioration, both the digestive efficiency of animals and the nutritional value of plants are probably lower today than they were at the time of the Flood. So if carnivores today can survive many months with no or little meat, how much more so their more robust predecessors of Noah’s day. 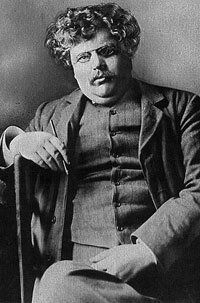 Your article about Chesterton prompts me to make two comments. First of all, Chesterton’s arguments were made in the context of our biological knowledge of eighty years ago. Much has changed then, even though your article implies that there has been negligible scientific progress in the area. Another point is that many of the fallacies that Chesterton refuted are still invoked by evolutionists today, so clearly they haven’t learned from history. Indeed, science has moved on greatly. At the time Chesterton wrote, here was no inkling that supposedly simple cells contained hugely complex nano-motors to produce ATP, wind DNA or the scrunching and unscrunching machine necessary for transcription, or even the notion of DNA as an encyclopædic information storage/retrieval system. Your criticism of ‘scientism’ is also interesting. Do you understand what this means? It means the virtual worship of science as the final and indeed only source of truth. As such, it is self-refuting, since the proposition ‘science is the final arbiter of all truth claims’ itself can’t be proved scientifically. CMI, AiG, ICR, and your many fellow travelers, spend large amounts of time and money trying to put a scientific ‘gloss’ on creationism—as witness the RATE project, for example. So do you have any specific objections to the data or interpretation thereof? CMI is privileged that we now have on staff one of the RATE scientists, Dr Russell Humphreys, so we are well able to address questions. This is obviously done to provide the public with a degree credibility for your contentions that your religious approach cannot do. Scientism is an example of the magisterial use of science, where it stands over Scripture like a magistrate and judges it. … The ministerial use of science occurs when science submits to Scripture. How about, following the extremely fruitful approach of the founders of modern science like Johannes Kepler (1571–1630), famous for claiming that his discoveries were ‘thinking God’s thoughts after him’. This sounds like ‘closet scientism’ to me. It is at the very least a tacit admission of the power of science and your willingness to borrow its luster. All the above confuses the ministerial v magisterial approach to science. Scientism is an example of the magisterial use of science, where it stands over Scripture like a magistrate and judges it. Such ‘science’ is bound to be flawed, because science by its very nature is tentative, and starts with axioms invented by fallible humans and not revealed by the infallible God. Science should never be elevated to the same level as logic, because valid logical deductions from true premises always lead to true conclusions, while scientific theories come and go. This characteristic of science especially applies to origin science (the study of one-off origins in the past), and some apply this even to operational science (the science of repeatable observations in the present2), although it’s not our main point of debate. The following section from Refuting Compromise should explain further why we like RATE, and why it is diametrically opposed to scientism. Scripture teaches that a year-long global flood (with various stages) occurred about 1,600 years after creation. Creationist geologists, such as CMI’s Dr Tas Walker, have worked on building a scientific model, based on the types of rock formations predicted in every stage.4 A magisterial use of science is to claim that uniformitarian science disproves a global Flood, so that Genesis must be reinterpreted to mean a local Flood, or even dismissed as unhistorical. The whole tenor of Scripture is that the individual is a human being right from the beginning of biological life; there is nothing to indicate that there is any secondary event of ‘ensoulment’ after the beginning of biological life. In particular, the Psalmist teaches that life begins at conception (Psalm 51:5), i.e., he explicitly states that it was ‘me’ that existed from conception, not some blob of cells that later became ‘me’. Science elaborates on this by showing that the union of sperm and egg (fertilization or conception) is the scientifically irrefutable beginning of the individual’s life, so can be equated with the Biblical term. The Bible teaches (ten times in Genesis 1) that living organisms reproduce after their kind, and that man was created supernaturally from non-living matter, not from a pre-existing living creature (Genesis 2:7). 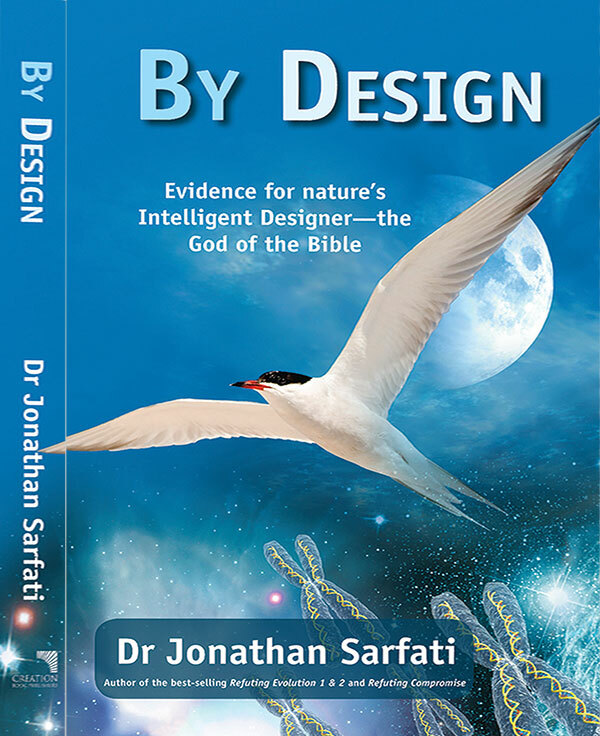 Since kinds are defined by reproduction, creationists have used hybridization studies to elaborate on the boundaries of the original created kind to elucidate the Biblical teaching. For example, the wholphin, a hybrid of a killer whale and a dolphin, shows that they were descendants of the same created kind, despite man’s classification of them into different genera. In fact, since the wholphin is fertile, it means that its parents were really members of the same ‘biological species’ by definition. And since the Bible does not specify that the ‘kind’ must equal any modern definition of ‘species’, science can help demonstrate that [Hugh] Ross’s equation of these two terms is false. 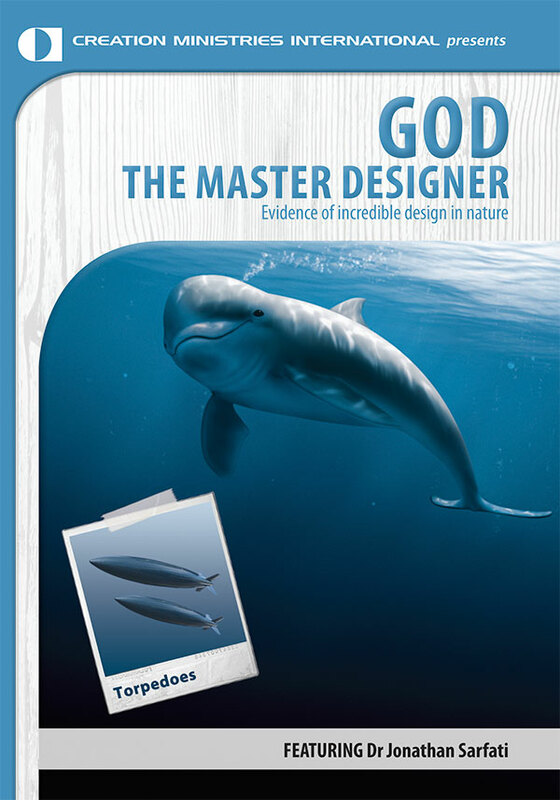 A magisterial use of reason is that of theistic evolutionists who claim that all living organisms, including man, have evolved from a simple cell. So if they regard Genesis as remotely historical at all, it must be ‘reinterpreted’ to be compatible with the idea that one kind has changed into another kind, quite contrary to the plain language of the biblical text. Clark, G.H., The Philosophy of Science and Belief in God, The Trinity Foundation, Jefferson, MD, USA, 2nd Ed, 1987. Return to text. Sarfati, J., Loving God with all your mind: Logic and Creation, TJ (J. Creation) 12(2):142–151, 1998; . Return to text. Walker, T., Biblical Geological Model, . Return to text.